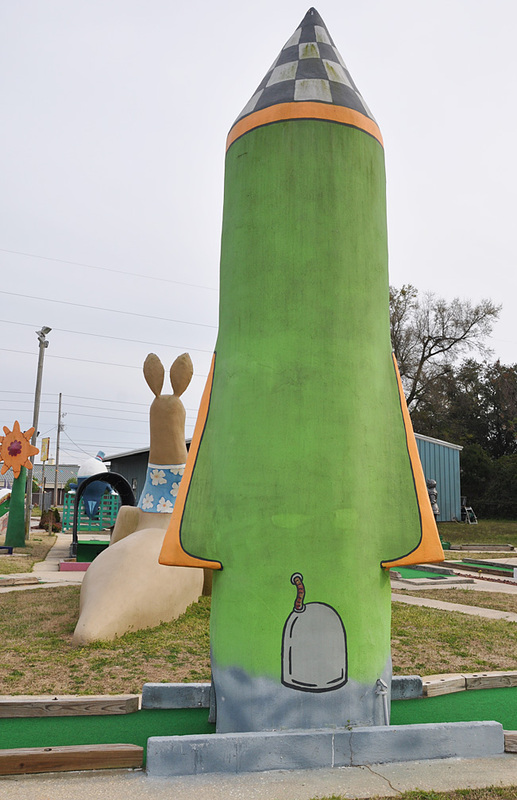 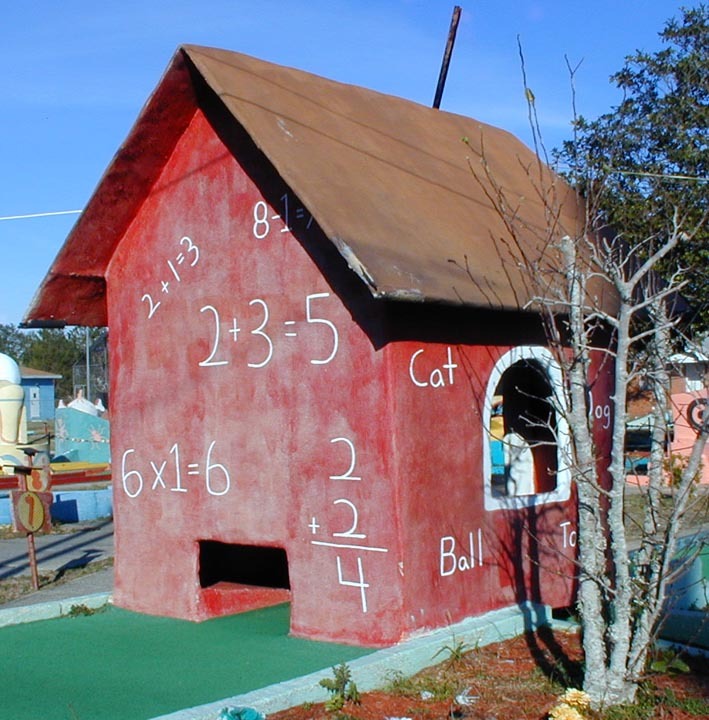 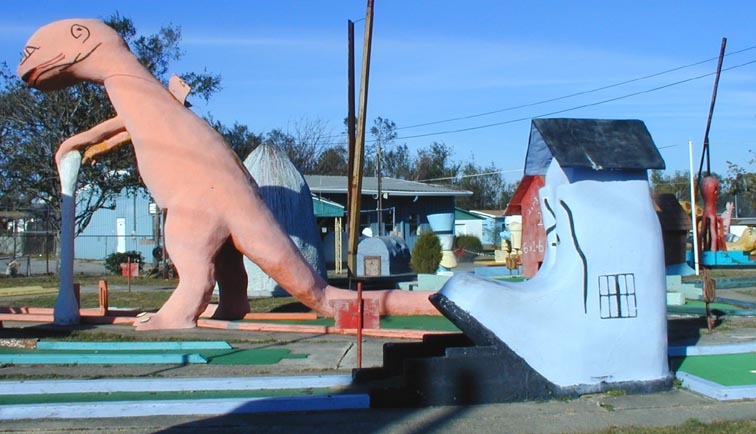 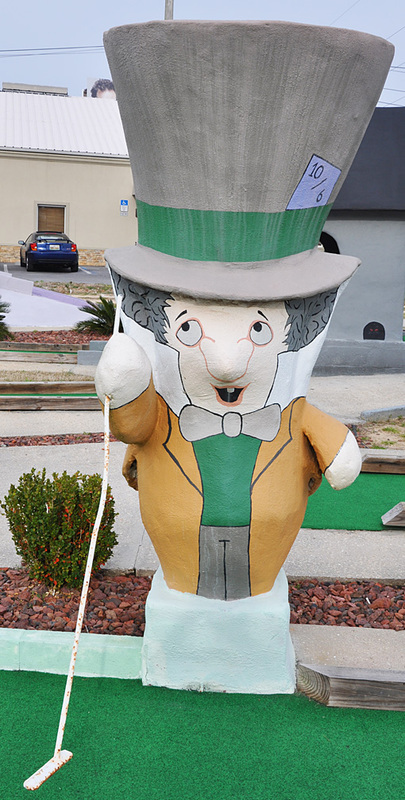 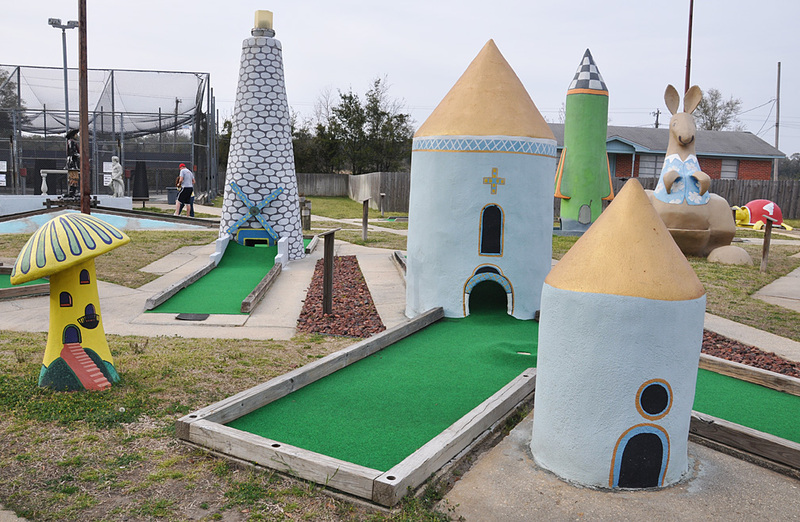 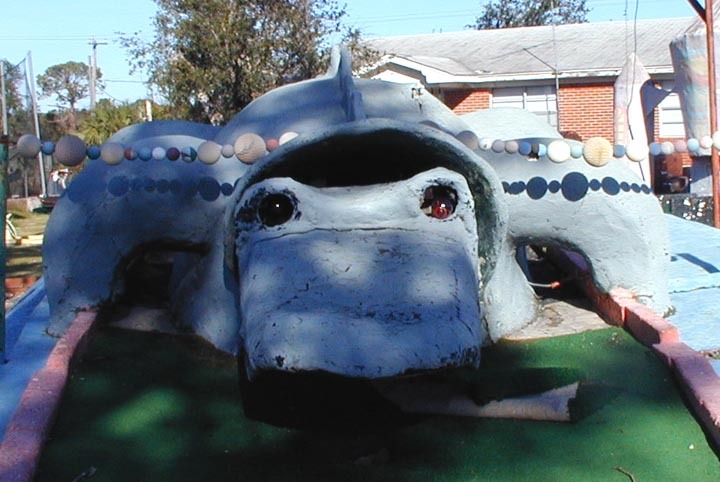 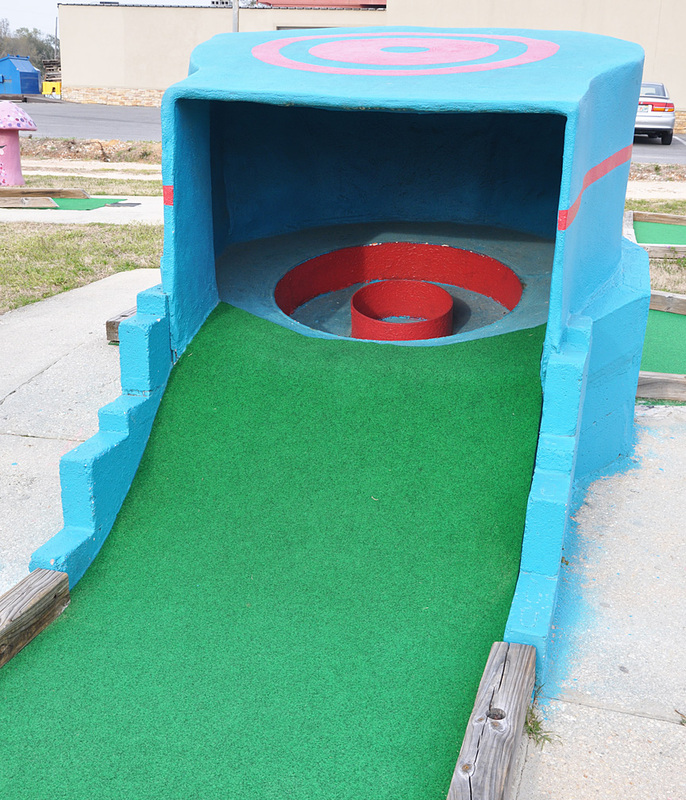 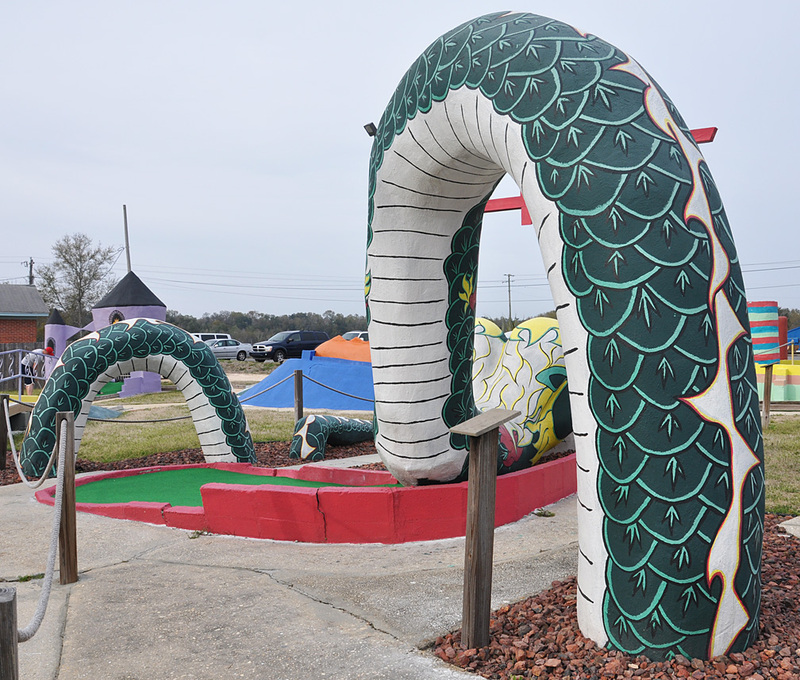 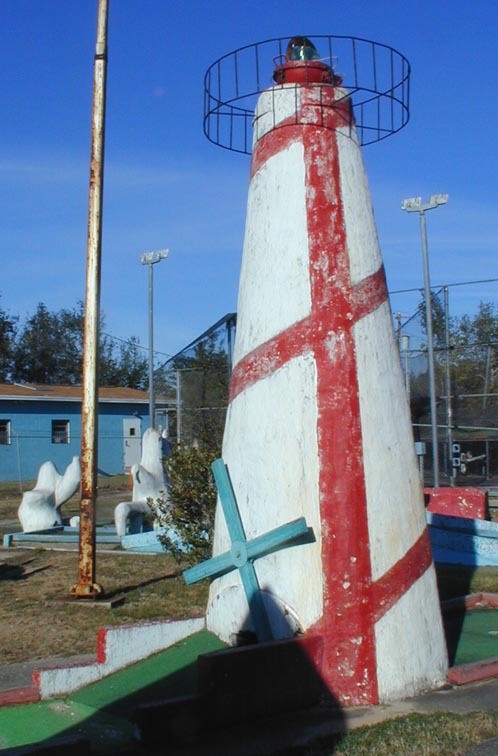 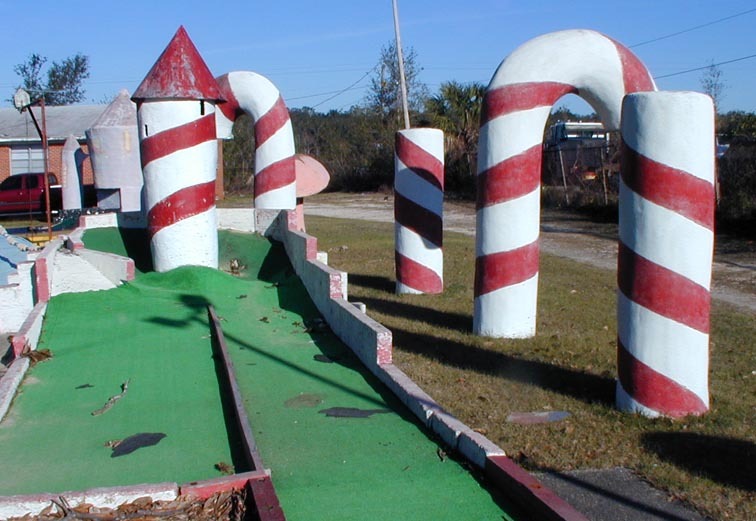 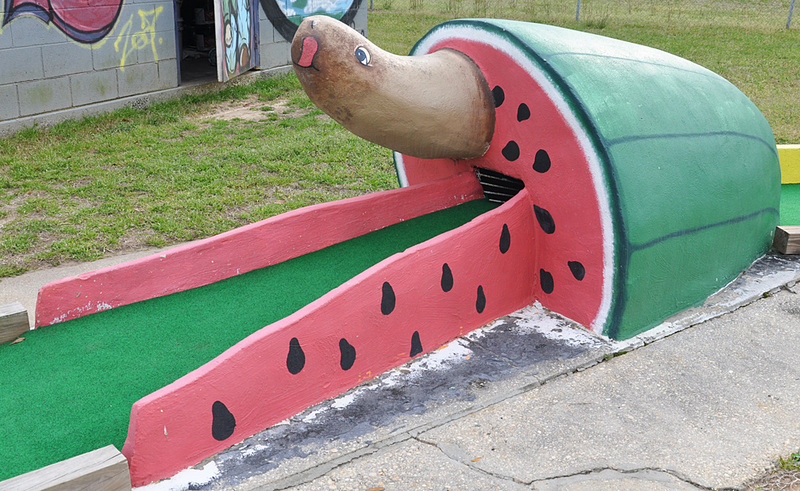 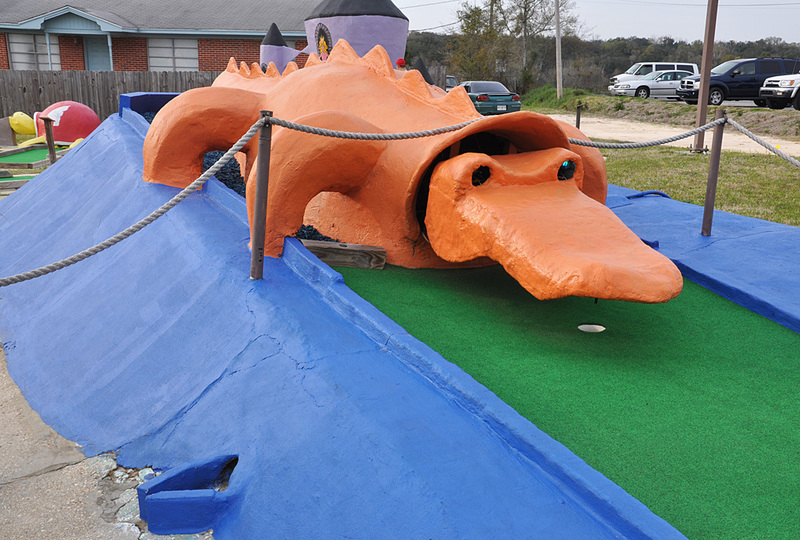 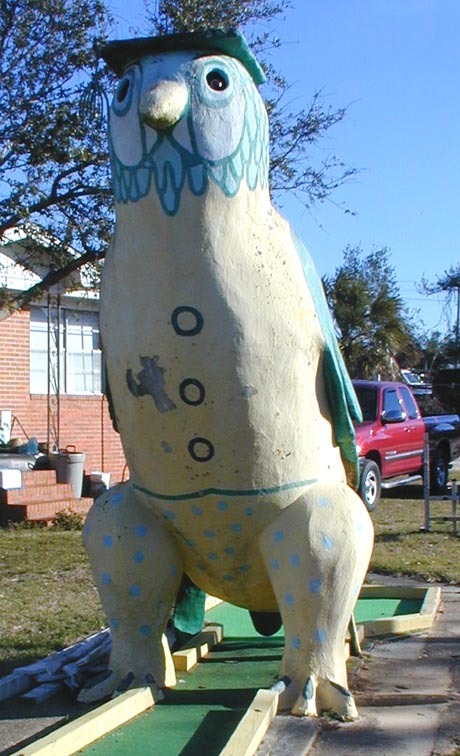 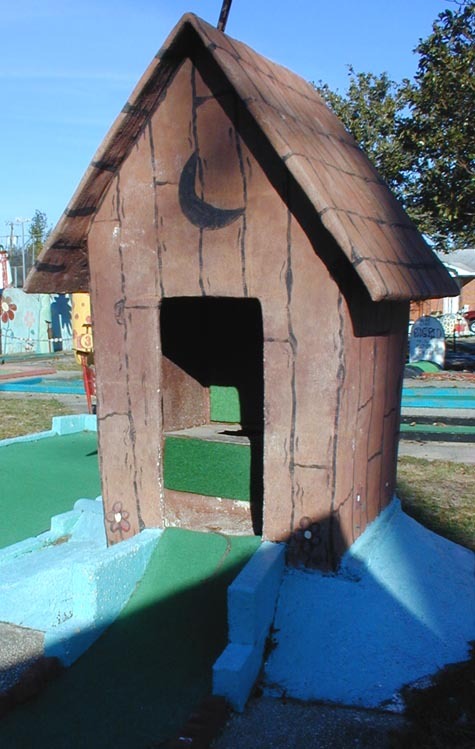 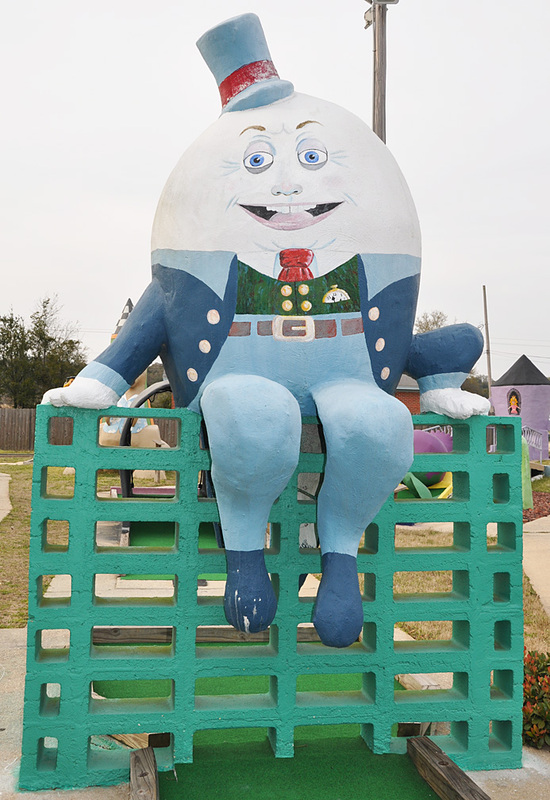 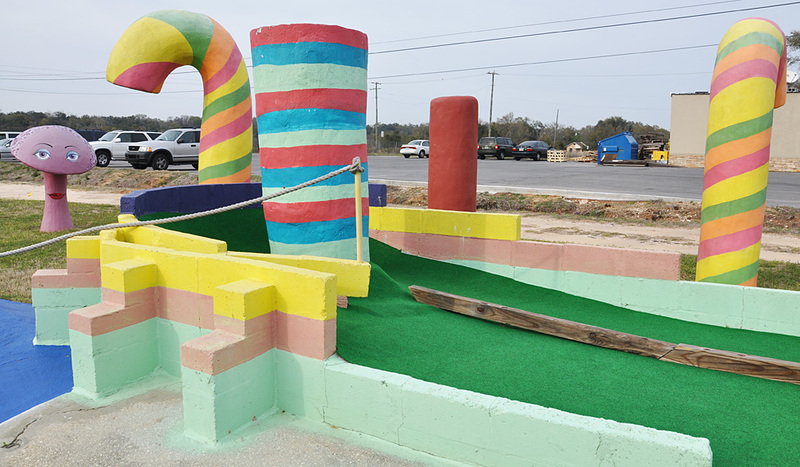 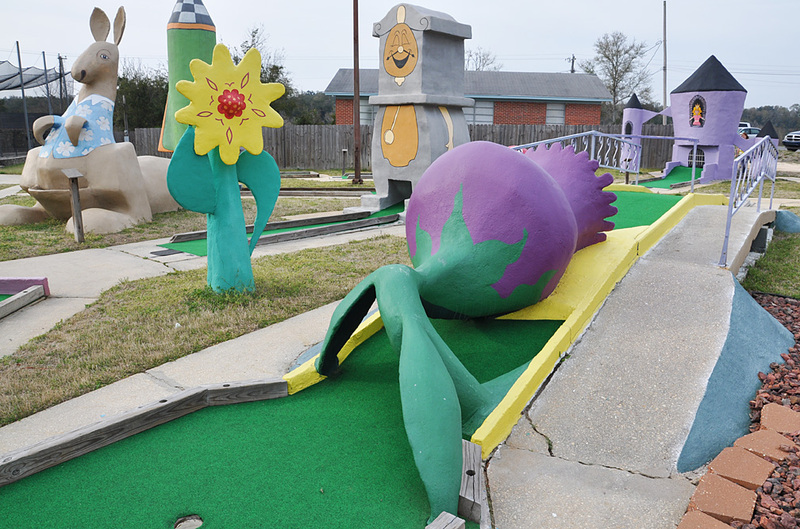 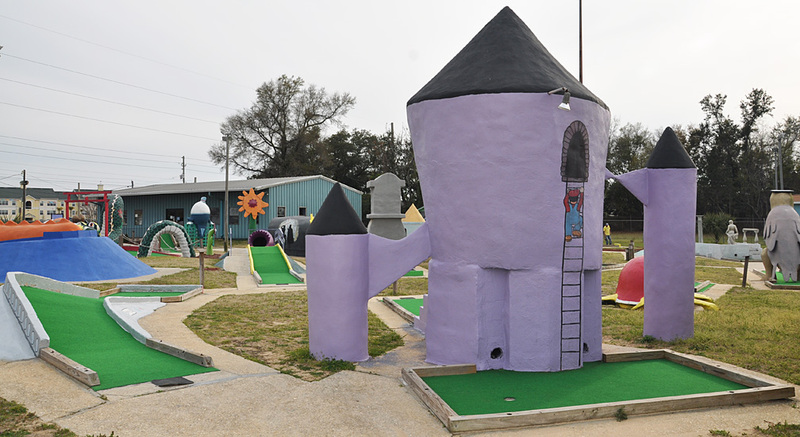 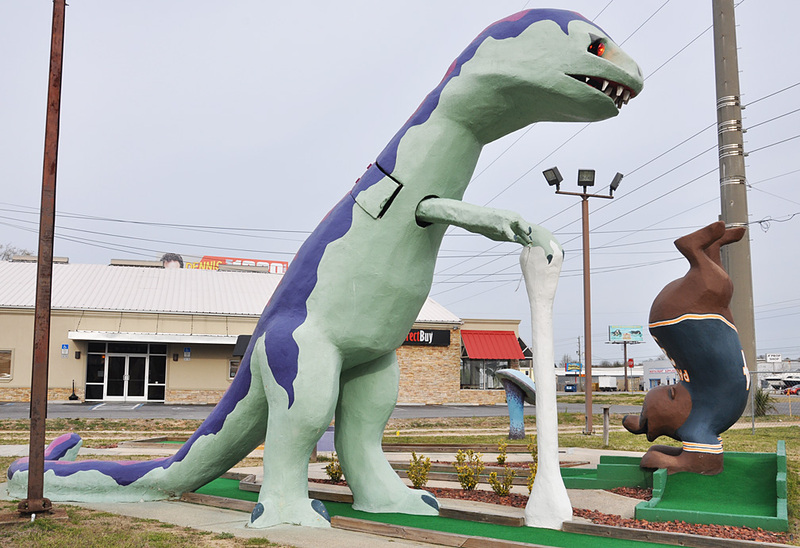 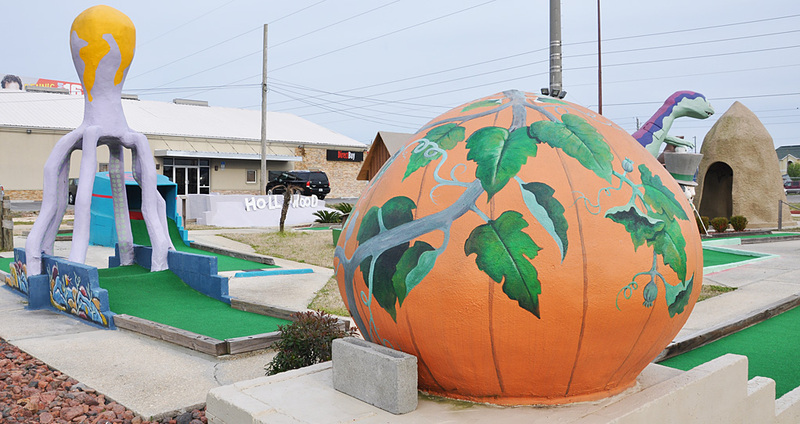 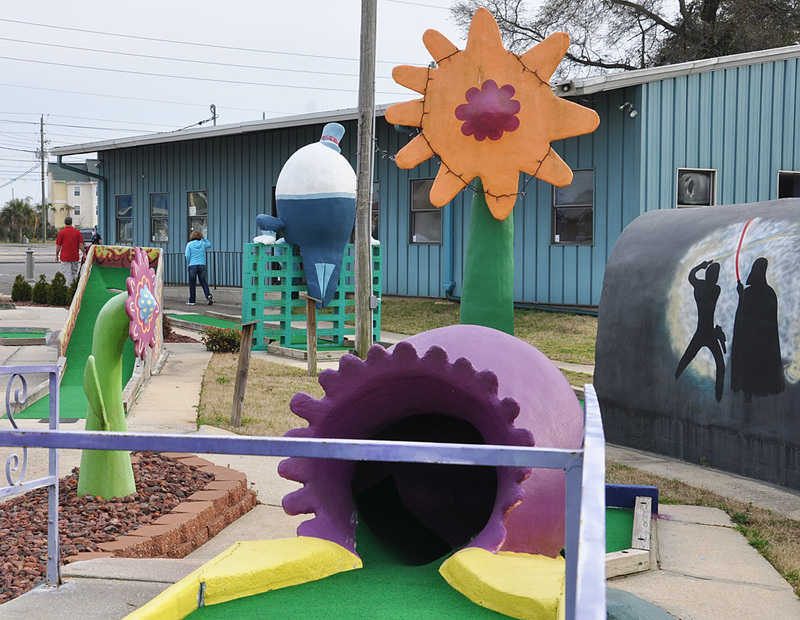 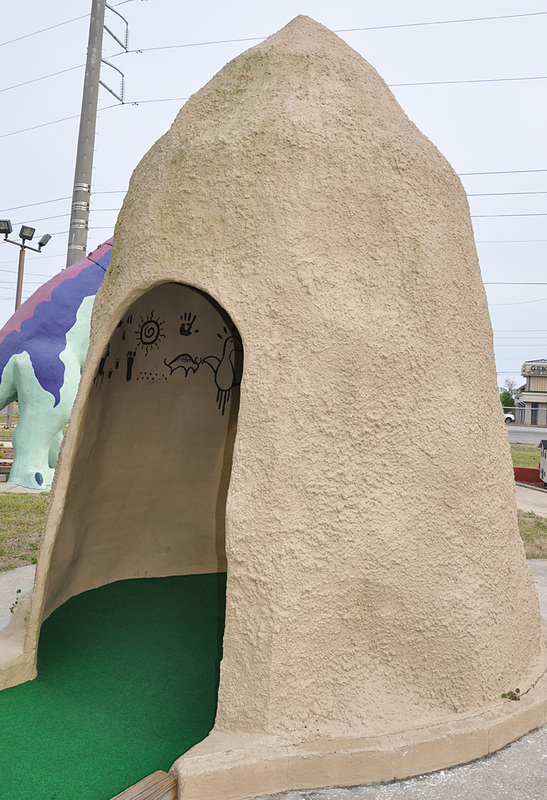 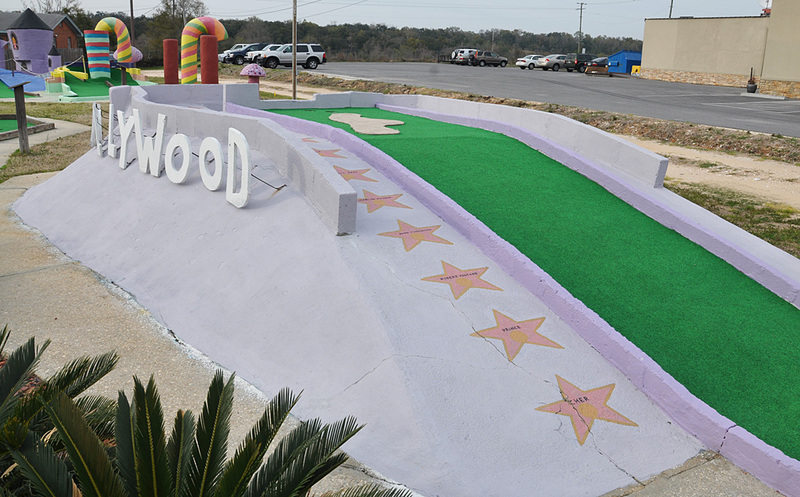 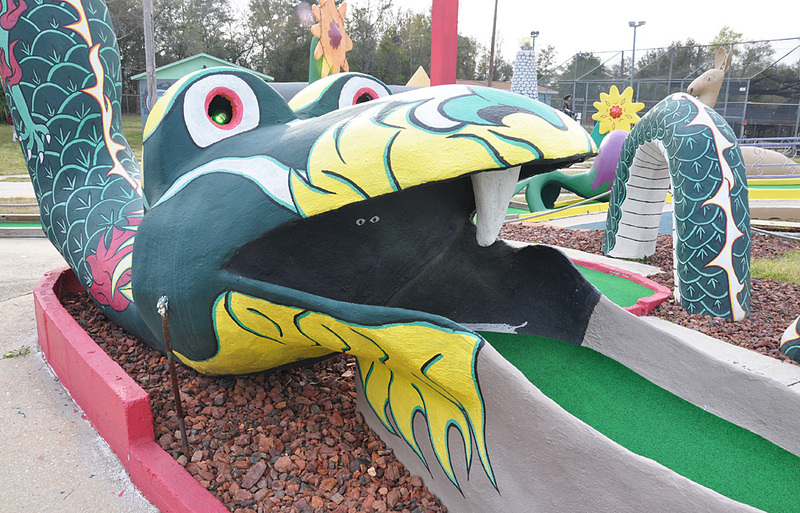 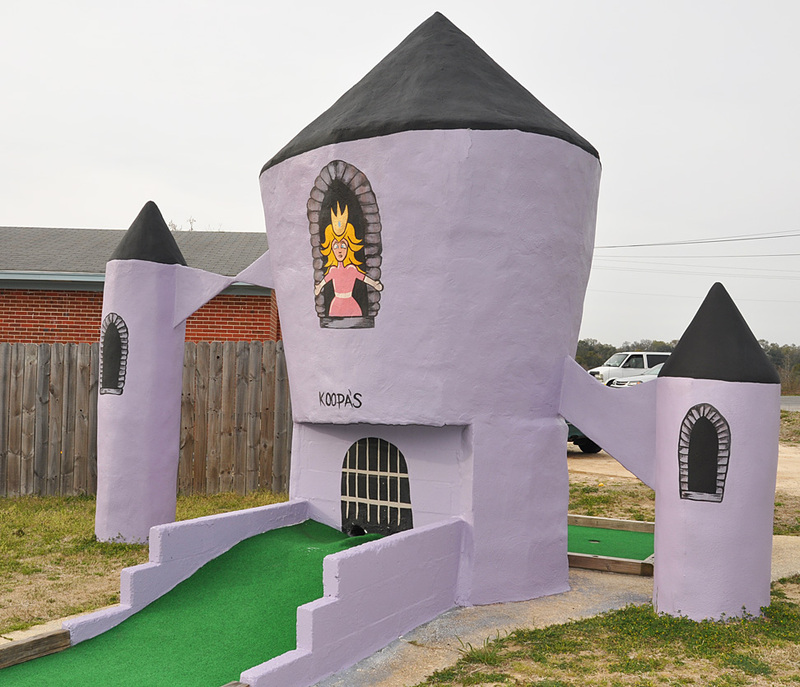 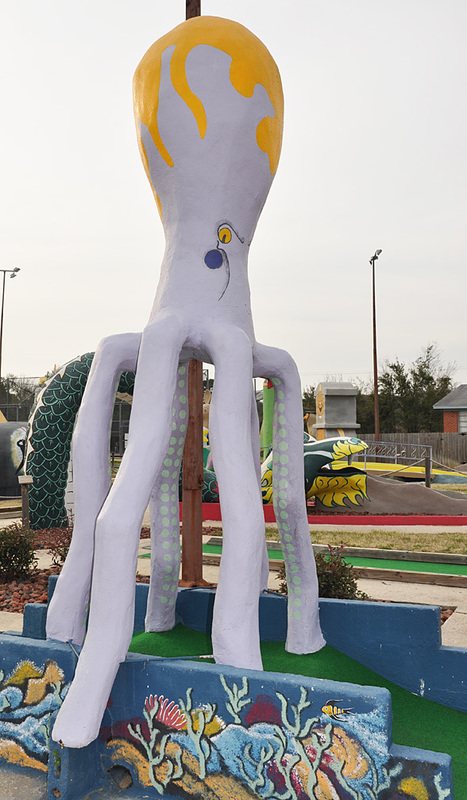 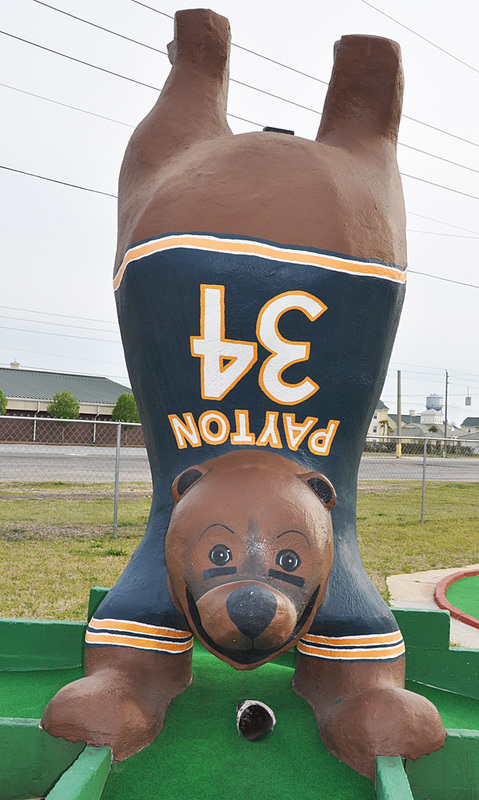 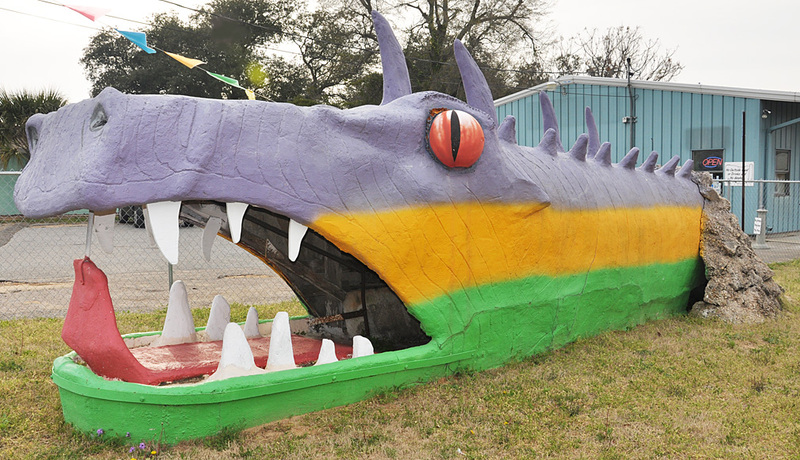 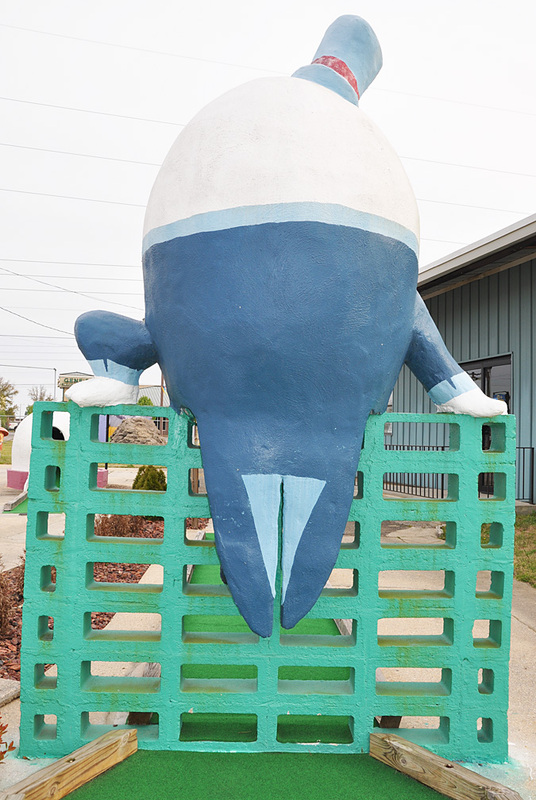 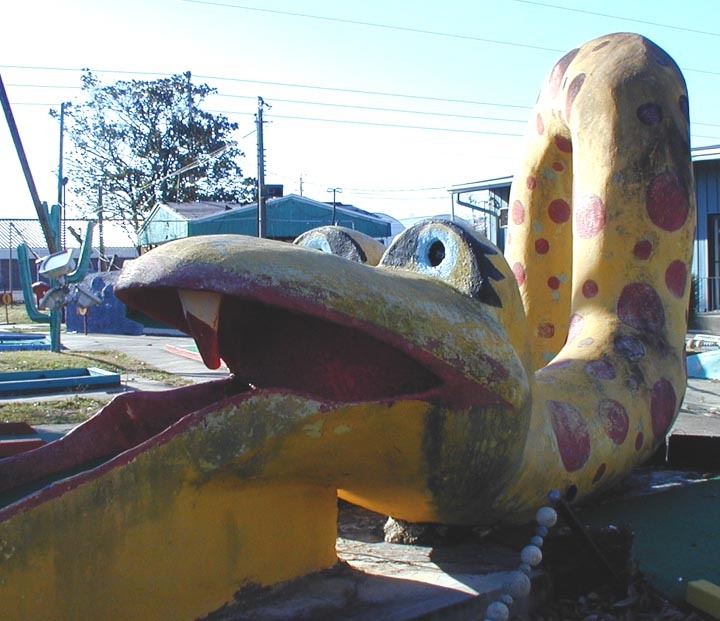 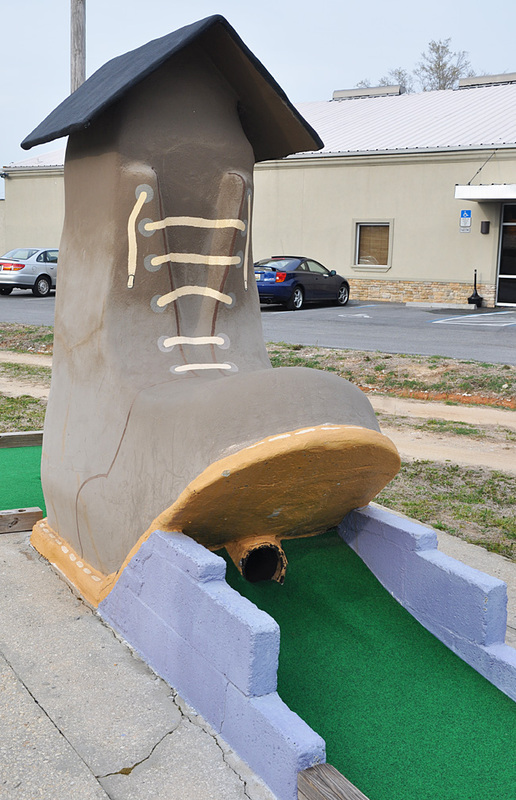 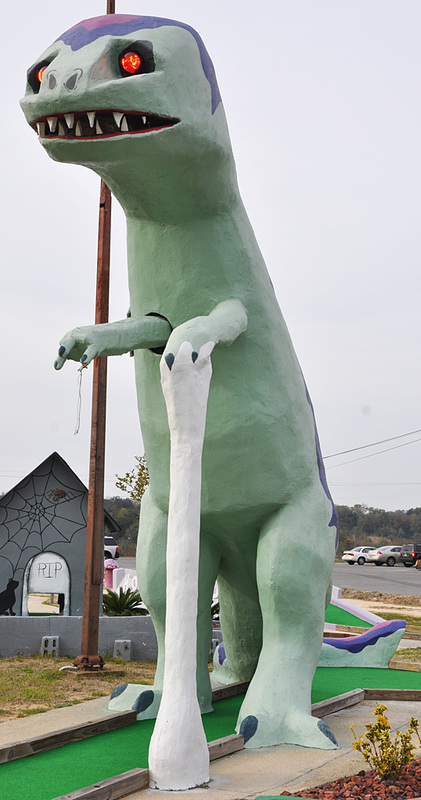 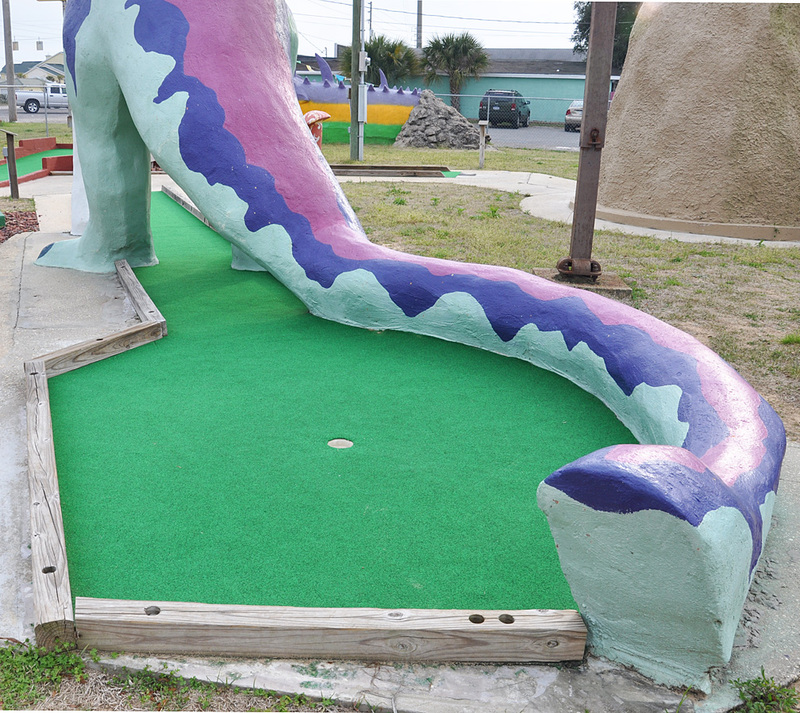 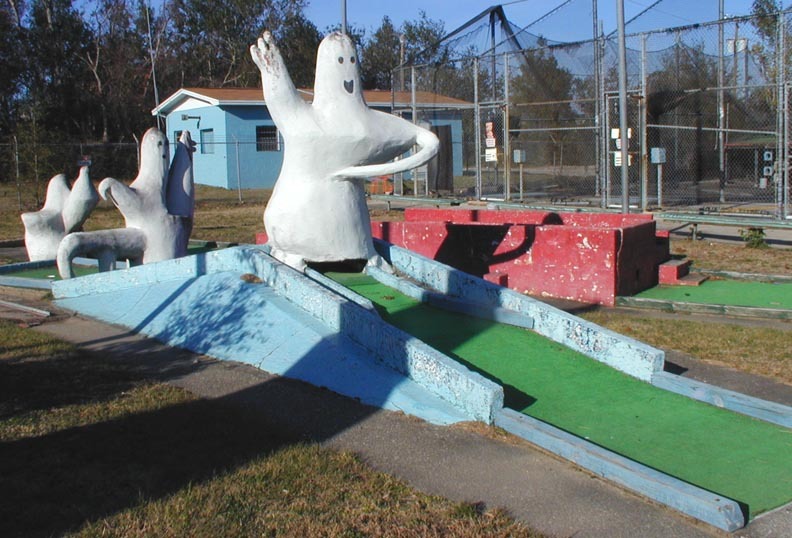 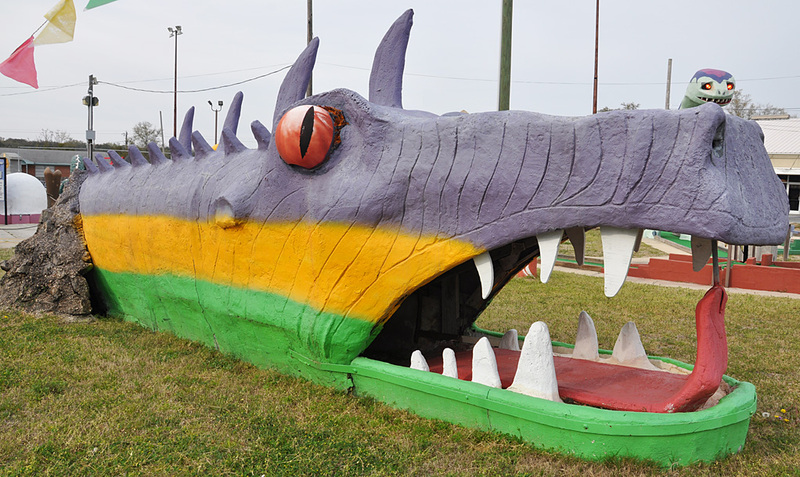 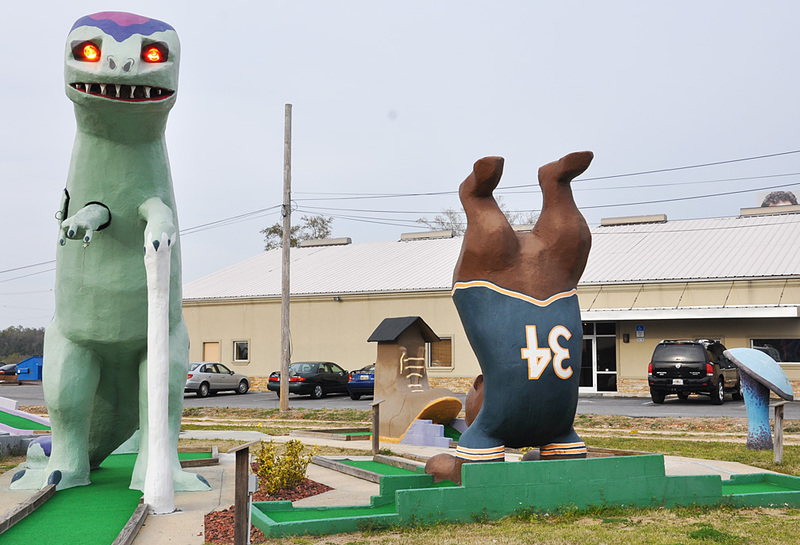 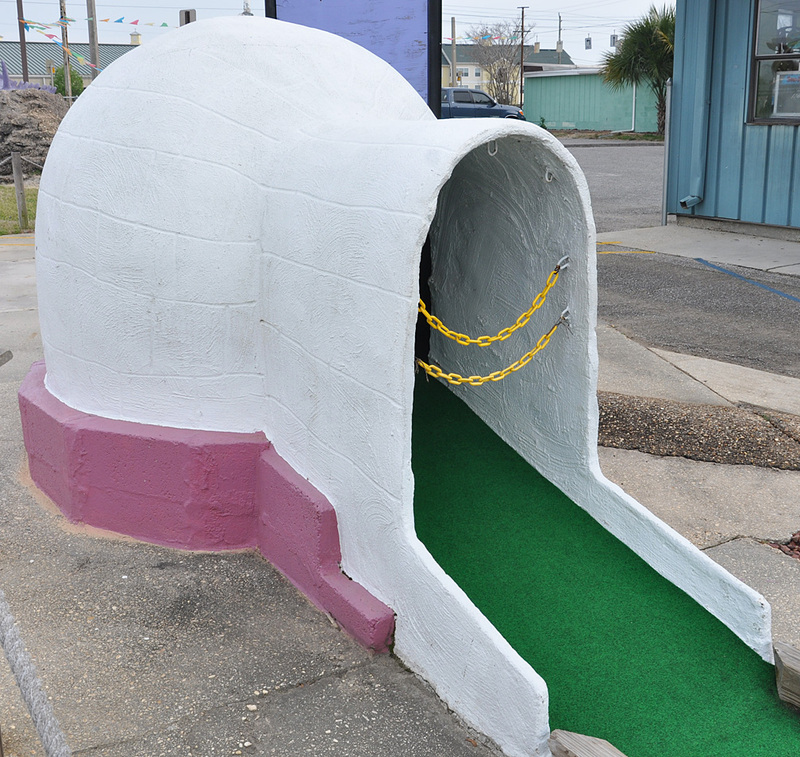 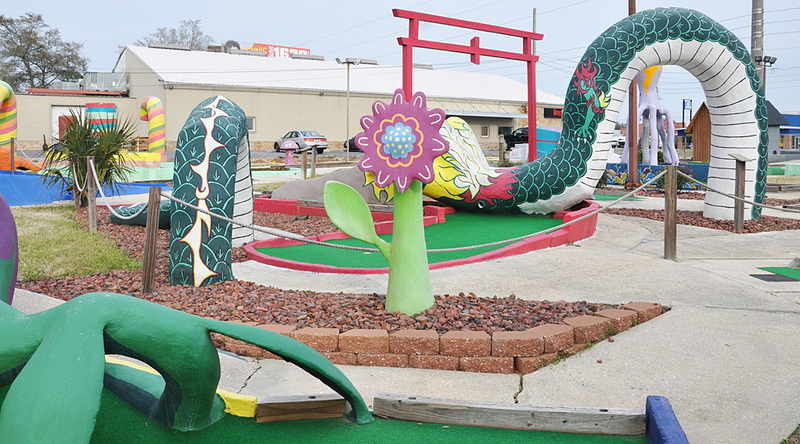 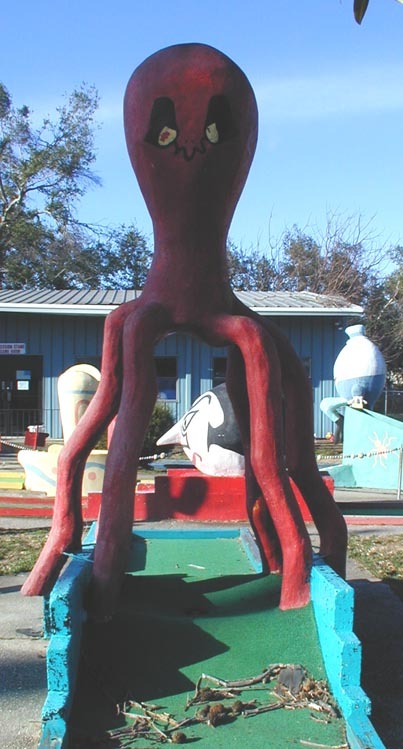 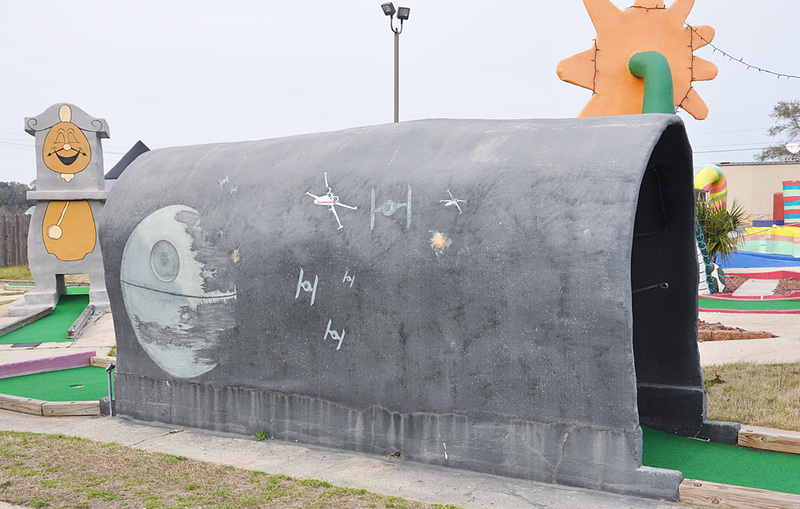 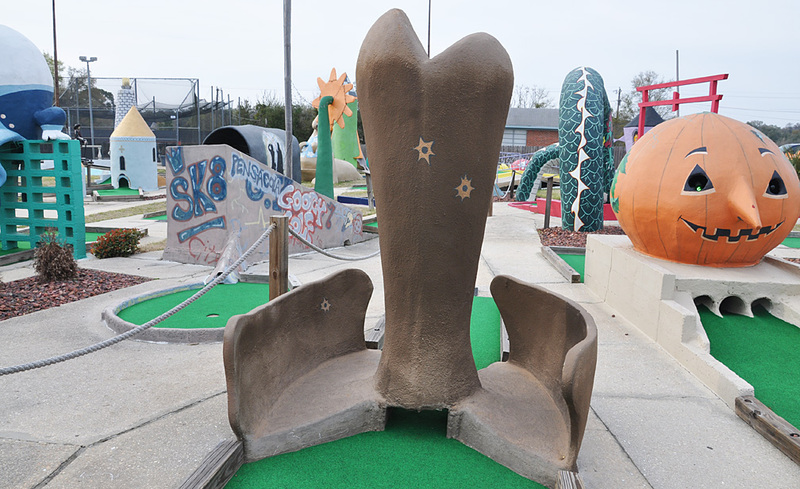 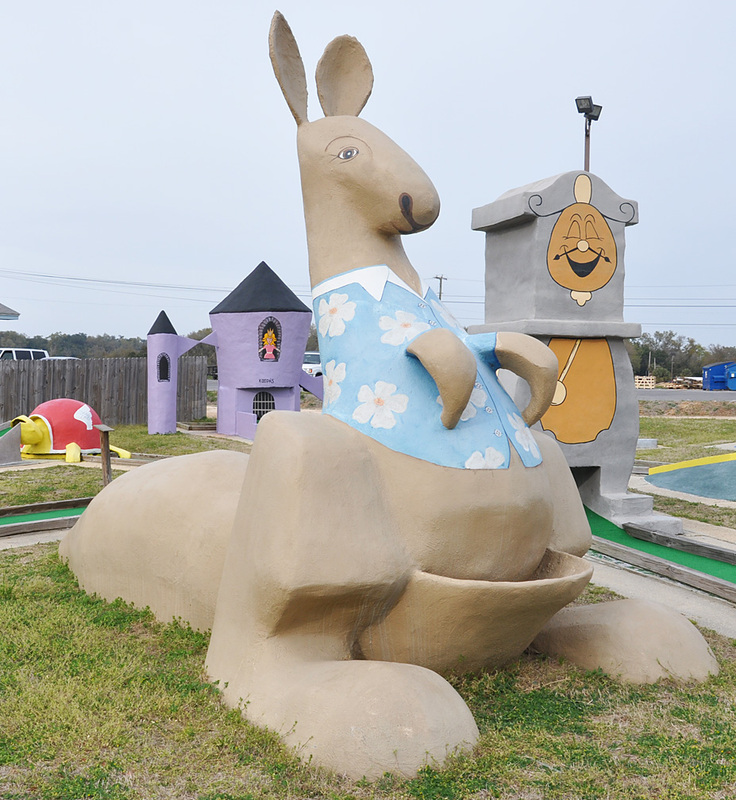 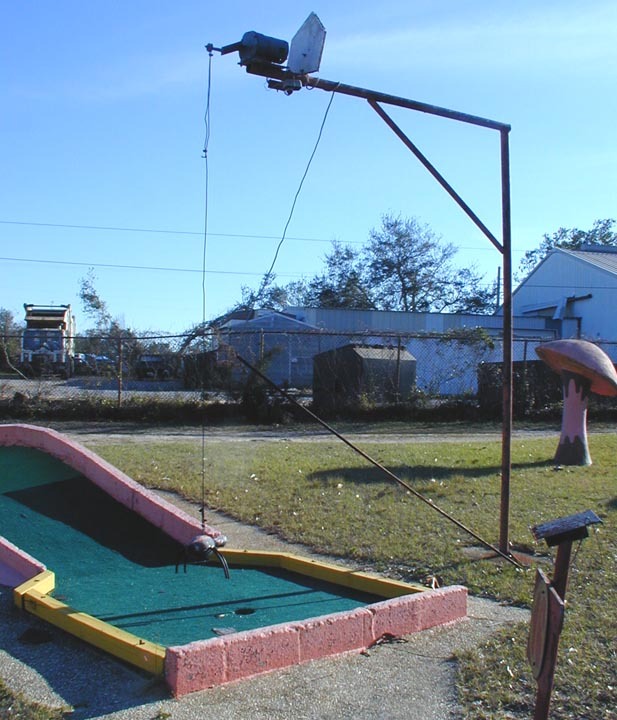 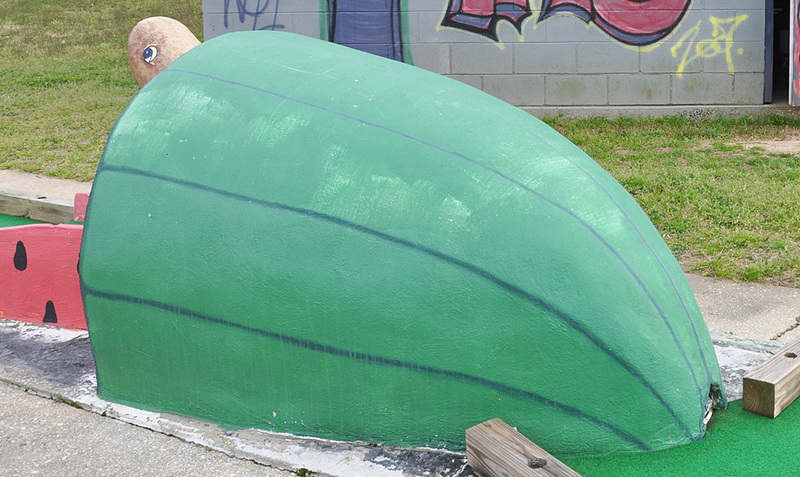 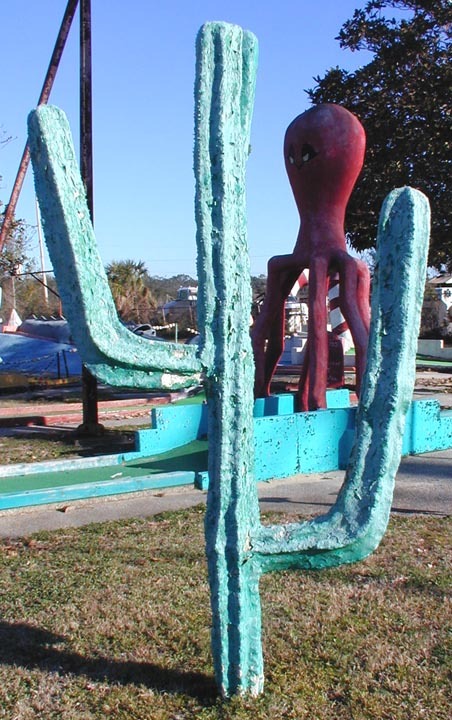 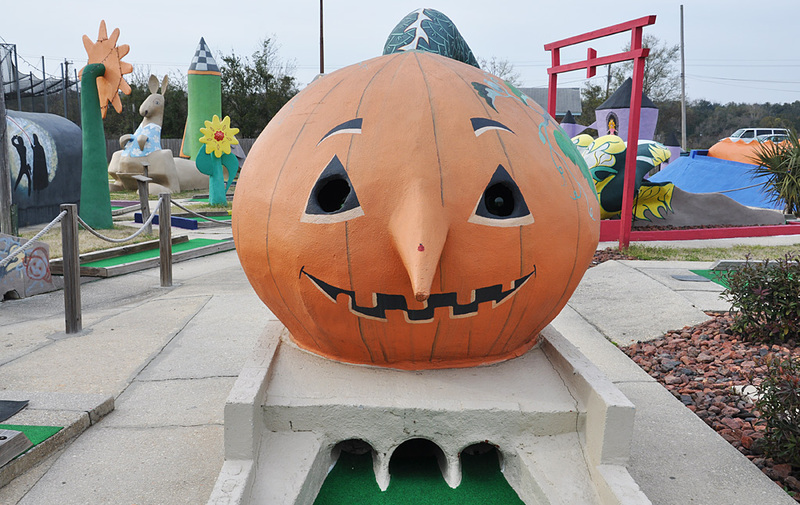 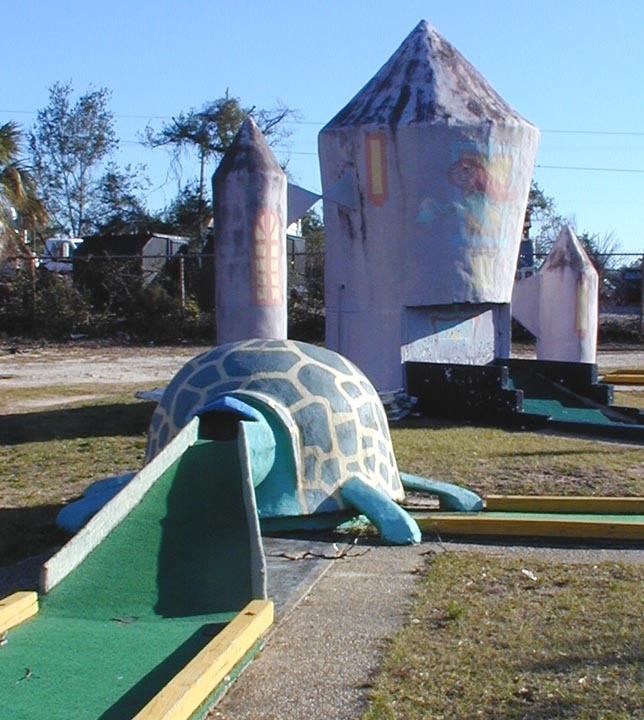 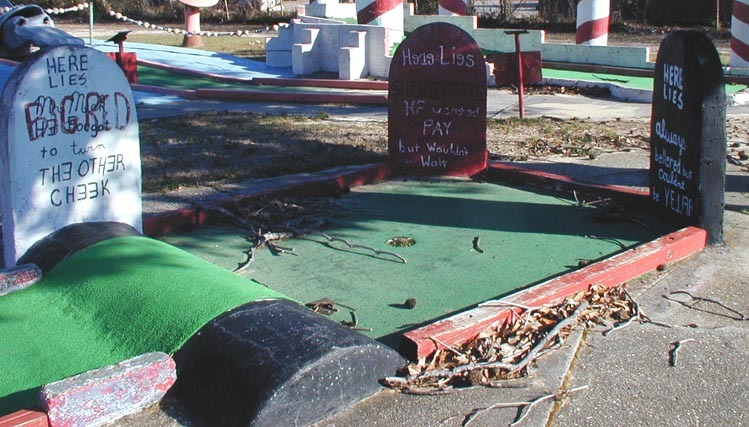 The Pensacola Goofy Golf opened in 1958 and was the second Goofy Golf built. 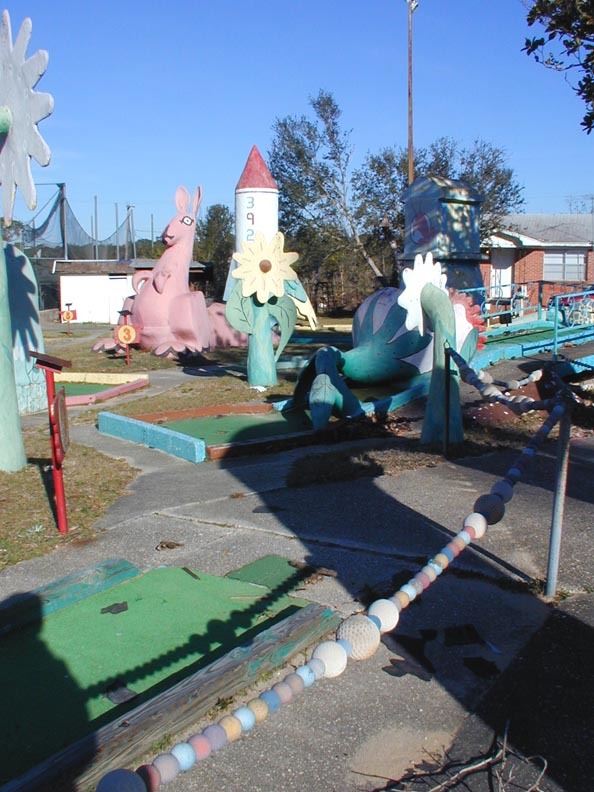 Since the original location in Biloxi, MS has been destroyed, this is the oldest location in the chain to survive. 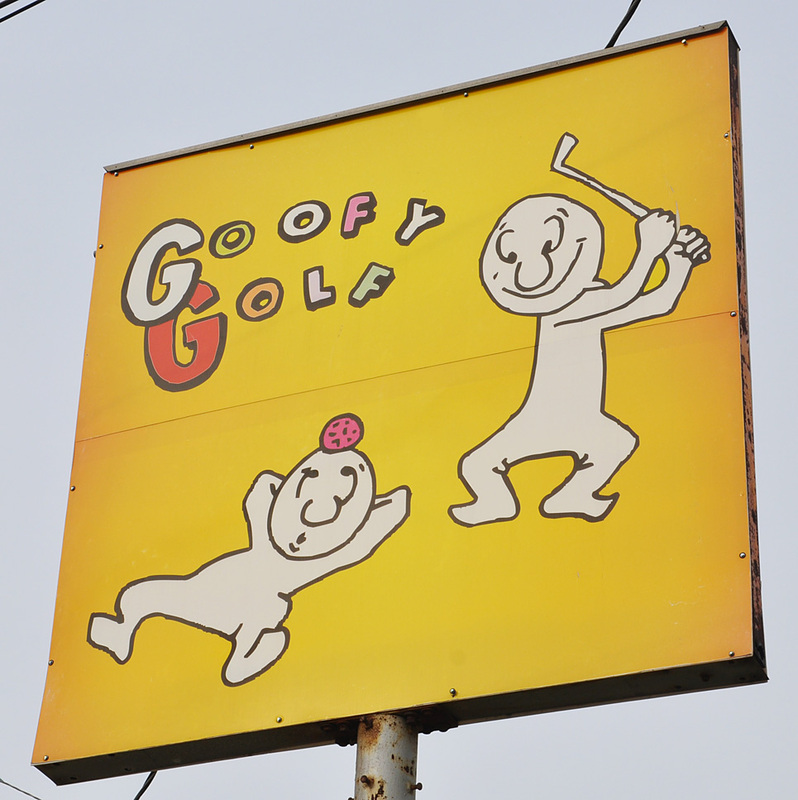 Goony Golf bought this place in the 1970s. 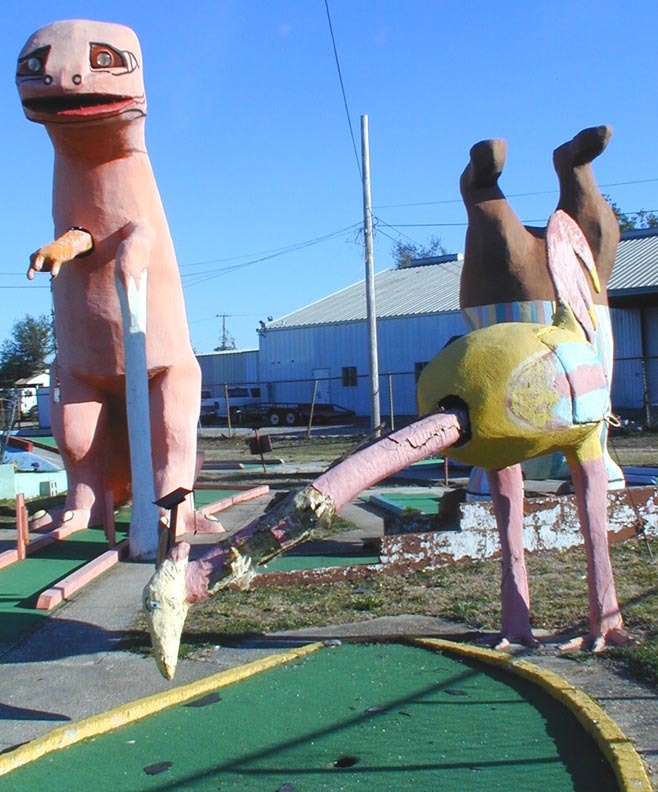 It was in bad shape and the owner brought in some new figures to spruce the place up. 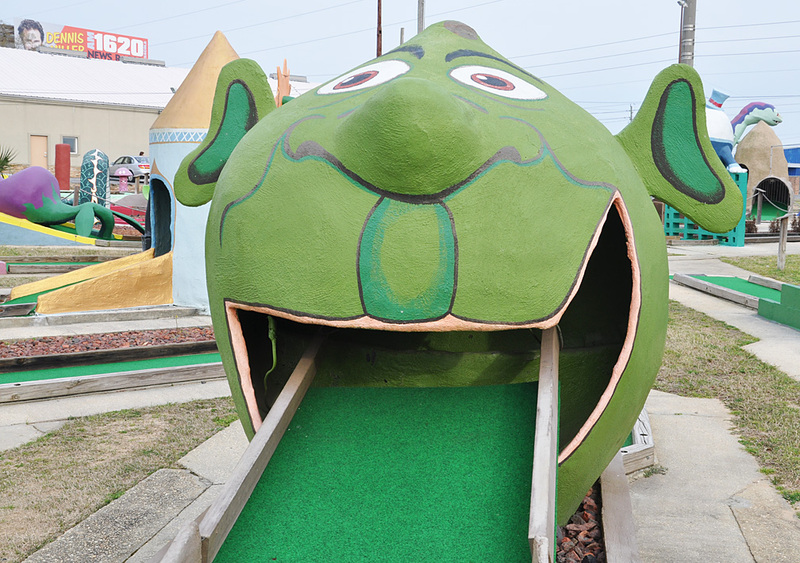 Some other Goony Golf courses can be found here: Chattanooga, TN, Spring Lake, MN, and Lake George, NY. 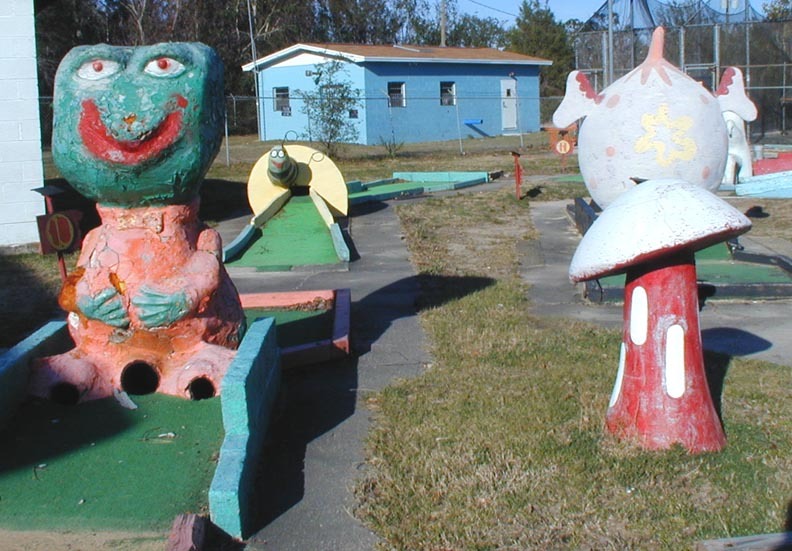 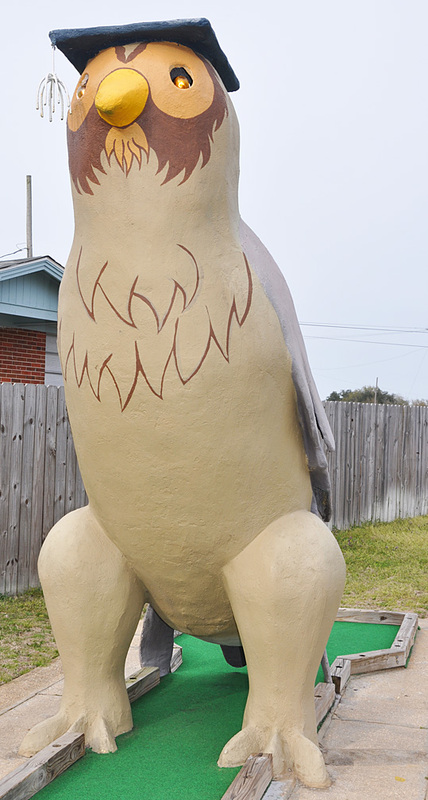 Many of the chain's figures were inspired by those at Lee Koplin's courses, the most famous of which is in Panama City Beach, FL.